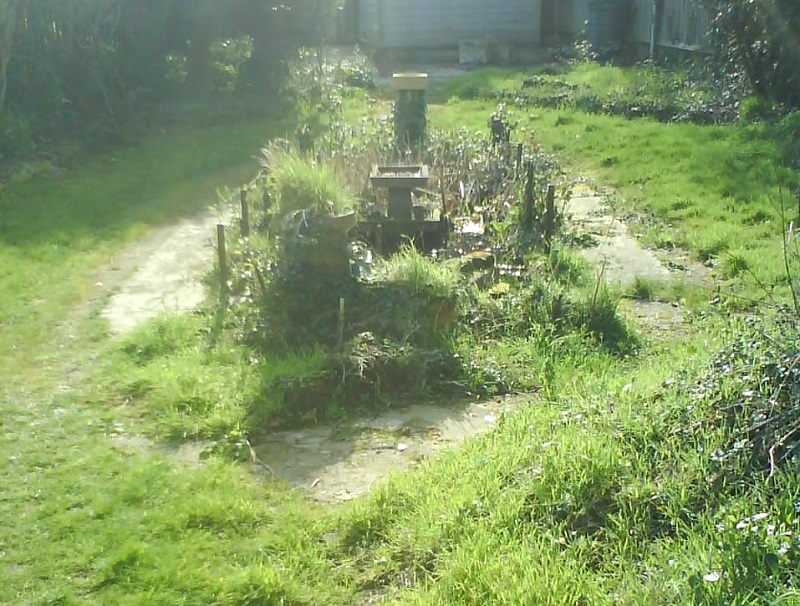 A neglected and choked-up pond, barely visible paths reclaimed by nature, and a weedy pile of discarded earth. 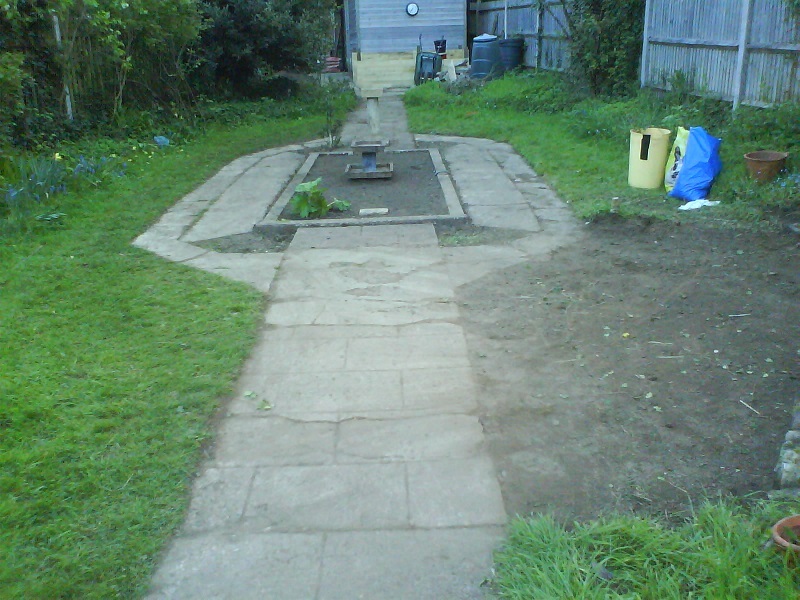 Pond cleared and filled in, paths rediscovered and reclaimed, lawn bed prepared ready for re-seeding. 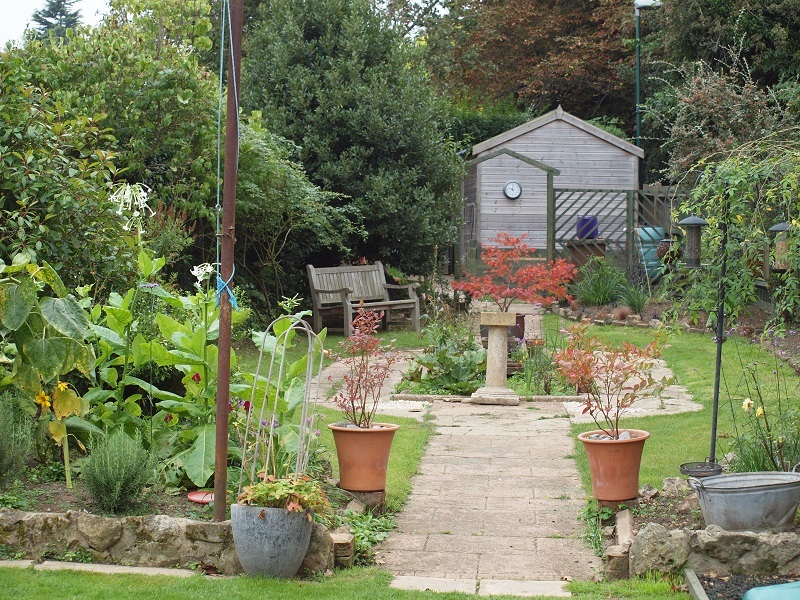 A few pots, some annuals, the addition of some trellising to screen shed, compost bins and water butts and the garden comes back to life. I decided to keep the basic structure and old worn paths so the garden retains its traditional feel and doesn't look too clinical and new.